Summer fun that won’t empty your wallet. Around Seattle, where it seems there’s news every day about rents doubling and incomes being unequal, free is a very good price. Here are 10 things worth doing or places worth going that won’t take a bite out of anybody’s $15 minimum wage. 1. 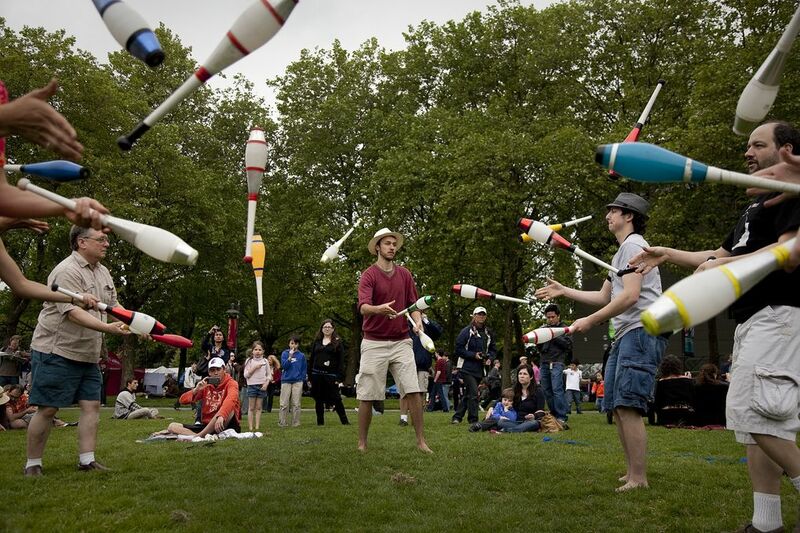 Northwest Folklife Festival: This longtime annual showcase for everything folky and funky kicks off Seattle’s summer every Memorial Day weekend at Seattle Center. It’s the cultural equivalent of a Whole Foods hot-food bar: organic, spicy and, in this case, spiritually filling. 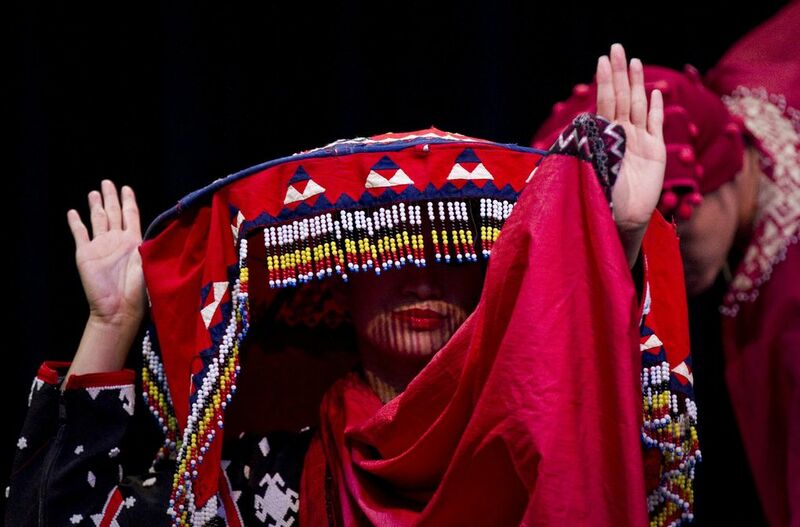 Expect more than 5,000 performers from more than 100 local cultural community groups. The 2015 focus: “Beats, Rhymes and Rhythms: Traditional Roots of Today’s Branches,” exploring hip-hop in the Northwest. While Folklife is touted as free, volunteers “suggest” a $10 donation at the entry; some people say they feel coerced. If 10 bucks will leave only moths in your wallet, just smile, say “Maybe next time” and walk on in. If you’re one of the “1 percent,” why not donate on behalf of the nice young family behind you and help keep Folklife free. Festival fills just about all of Seattle Center, the sprawling grounds around the foot of the Space Needle; nwfolklife.org. 2. 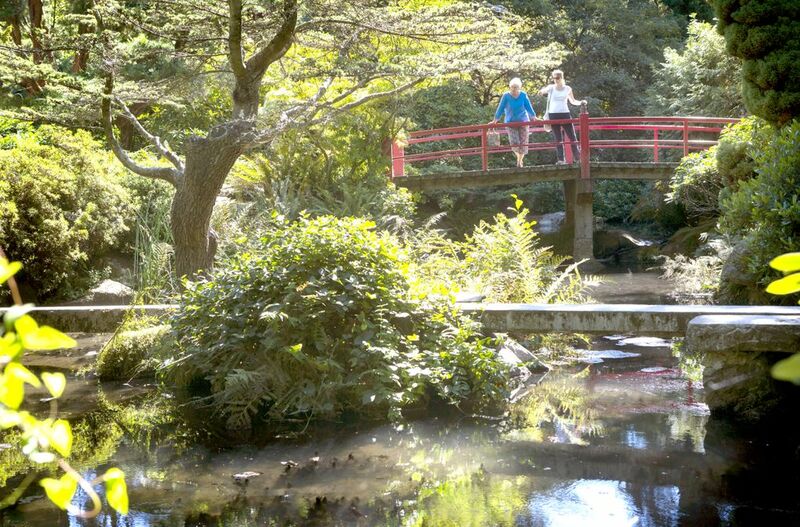 Kubota Garden: The Puget Sound area has its share of great gardens and public parks. But Kubota Garden, hidden among South Seattle neighborhoods, is an underappreciated gem. Now a Seattle city park, it was a decades-long project dating to the 1920s of immigrant Fujitaro Kubota. The sprawling, 20-acre reserve blends Japanese aesthetics with Northwest native plants and materials. Paths meander among rocks, past ponds and over bridges. On a sunny day, it’s a delightful place to get lost, have a picnic, or just sit and read a book among blooming rhododendrons, sky-blue forget-me-nots and bubbling streams. 9817 55th Ave. S., Seattle; kubotagarden.org. • More free gardens:bit.ly/1hCc2vK and bellevuebotanical.org. 3. Free museum days: Most museums across Seattle waive their admission fee the first Thursday of each month. It’s a screaming deal for scrimping locals and cheapskate tourists alike. 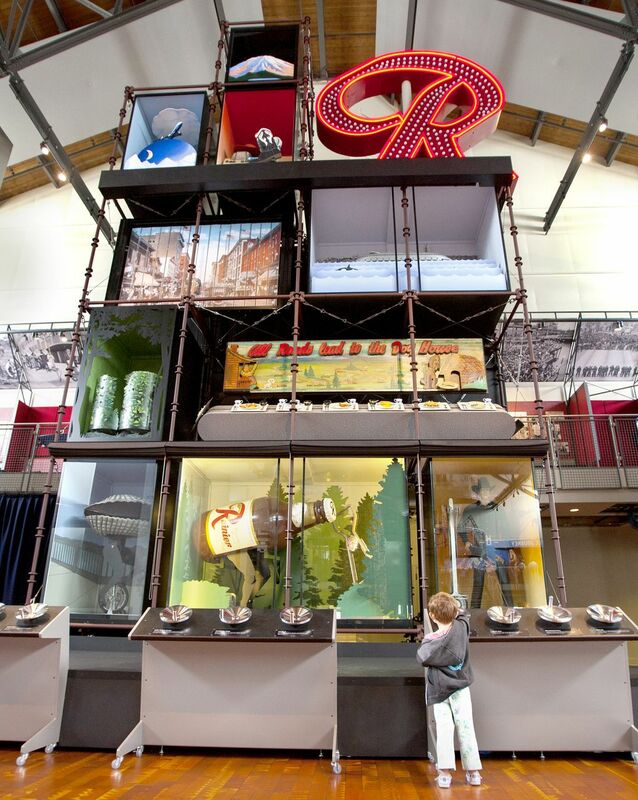 One favorite is MOHAI (say “MO-high”), Seattle’s acronymal name for the Museum of History & Industry ­— a boring label for a rollicking fun museum (usual adult entry: $17). On the scenic south shore of Lake Union, its interactive exhibits entertainingly tell Seattle’s tales with plenty of pop culture (the Ivar’s clam costume and the Rainier Beer “R”) and living history, from the 1962 World’s Fair to the 1999 WTO riots. Other First Thursday participants include Seattle Art Museum, Museum of Flight (evenings only), Wing Luke Museum and more; full list at freemuseumday.org/sea.html. Also: Got a Seattle Public Library card? Get free passes to museums on days of your choice (supply is limited). See spl.org/library-collection/museum-pass. 4. To market, to market: The famous Pike Place Market, of course, is a sensory circus of flying fish, perfectly piled nectarines and professional buskers (pikeplacemarket.org). But in touristy August, you’re liable to rub elbows (and bounce off ample hips) of more people from Sioux City than from Seattle. 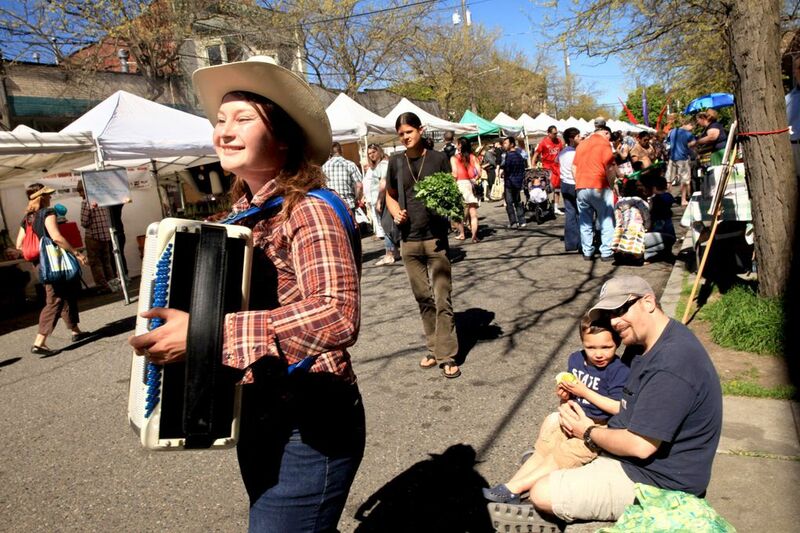 Find more locals actually shopping for their supper at one of the city’s liveliest outdoor shopping venues, the Ballard Farmers Market. Sundays year-round from 10 a.m. to 3 p.m. crowds shop scores of booths selling fresh produce, fish and flowers (among other things), all from Washington. Buskers here might range from teen sisters on ukuleles to the serious young men with typewriters who will clackety-clack out a poem on your chosen topic at a price you name. Spend what you choose; the happy spectacle is free. Ballard Avenue Northwest between 22nd Avenue Northwest and Northwest Vernon Place;sfmamarkets.com. 5. To play in the park, or not to play in the park? 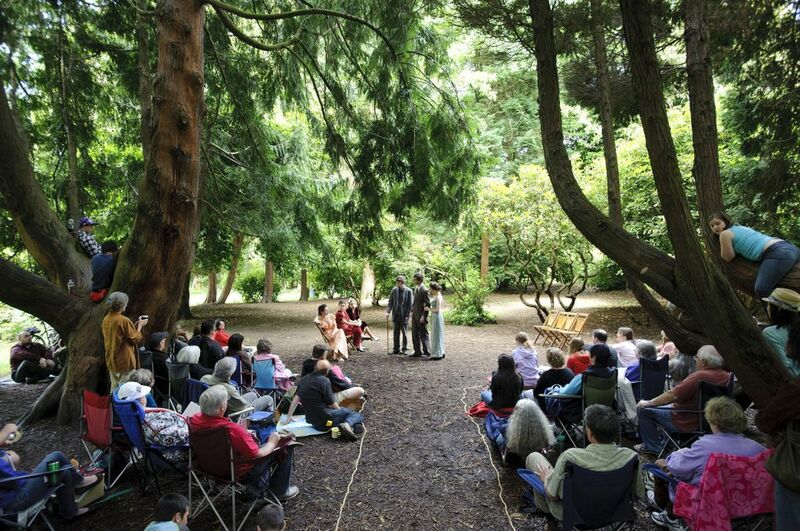 The bard might have penned that line if he knew what a variety of free Shakespeare-in-the-park performances can be found across the Seattle metro area every July and August. Just as one tech billionaire isn’t nearly enough, the city on the Sound has an embarrassment of riches in the form of two outdoor Shakespeare troupes: GreenStage and Seattle Shakespeare’s Wooden O company. Summer 2015 offerings include “Much Ado About Nothing,” “Macbeth,” “As You Like It,” “Henry IV, Part 1” and more. Forsooth, packeth a picnic. Schedules at greenstage.org/content/shakespeare-park and seattleshakespeare.org/woodeno. Various parks, regionwide. 6. 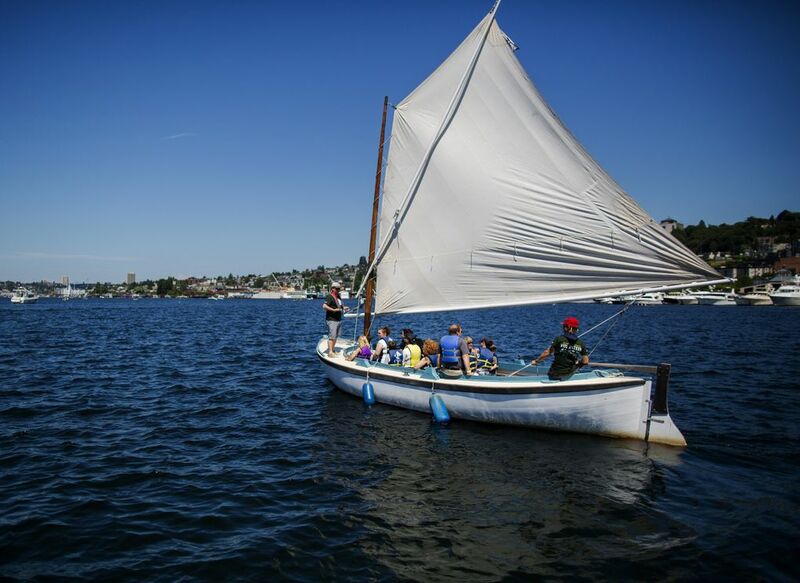 Ride, captain, ride: One of Seattle’s most longstanding acts of generosity and salty public spirit happens weekly, rain or shine, year-round, with the Sunday Public Sails offered by the Center for Wooden Boats. For more than 25 years, anyone wanting a free boat ride on Lake Union has needed only to show up before all the seats are taken (up to about 200 maximum on a big day). You might catch the breeze in a historic sailboat, you might be under steam power, you might need to help paddle. First-come, first-served sign-ups start at 10 a.m. (early arrival advised); boat rides of 45 to 60 minutes from 11 a.m. to 3 p.m. 1010 Valley St., 206-382-2628 orcwb.org/events/cast-off. 7. 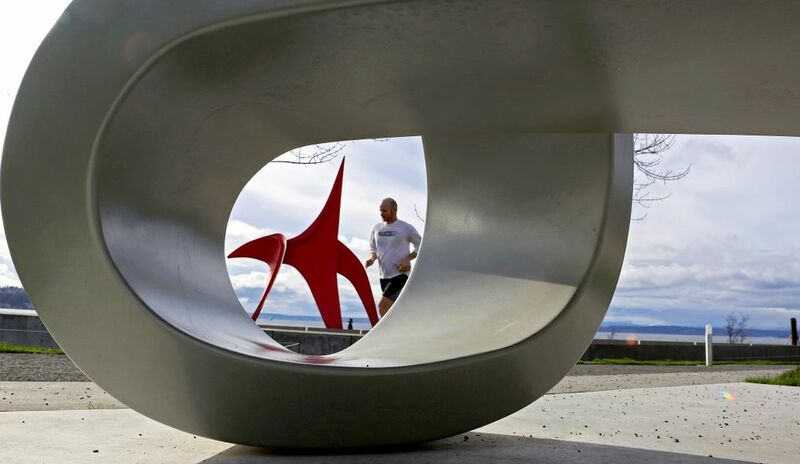 Olympic Sculpture Park: The name of Seattle Art Museum’s 9-acre outdoor sculpture site says much about its appeal. Grab a seat along the path through the 9-acre waterfront location and you have a front-row view of the spiky Olympics, the mountain range that constitutes the scenic mural, so to speak, beyond the Puget Sound water feature. Oh, and there’s sculpture, too — ranging from Alexander Calder’s eye-catching orange “Eagle” to Jaume Plensa’s stunning 46-foot tall bust of “Echo,” the mountain nymph of Greek mythology. Always free. 2901 Western Ave., Seattle;seattleartmuseum.org/visit/olympic-sculpture-park. 8. More culture at Seattle Center: Besides the Space Needle, Seattle’s 1962 World’s Fair left a legacy of the fairgrounds, now known as Seattle Center. It’s a gift that keeps on giving. In addition to the Folklife festival, the Center hosts a year-round series of free celebrations, known collectively as Festál, featuring the music, dance, art and food of just about every major ethnocultural group in Seattle. Want to learn some movements of Chinese dance? Head for the “Glimpse of China: Chinese Culture and Arts Festival” on May 16. Want to watch lumpia being fried (and maybe buy a few for lunch)? Don’t miss Pagdiriwang Philippine Festival on June 6-7. Many more cultures represented, from Hawaii to Croatia. Full schedule: seattlecenter.com/festal. 9. Watch the stars under the stars: After a hot summer day, it’s cool (and cooling) to hunker down on a blanket or your favorite low lawn chair to watch a movie in the outdoor dusk. Seattle Center’s Movies at the Mural and Bellevue’s Summer Outdoor Movies in the Park specialize in free al fresco flicks. Bellevue’s distinctly kid-friendly film series, which even throws in the popcorn, has a temporary 2015 home at Hidden Valley Sports Park, 1905 112th Ave. N.E., while the city’s Downtown Park is under construction (also find movies at Crossroads Park, 16130 N.E. Eighth St.). Seattle Center’s setting includes that celestial Needle looming over your head. Details: bellevueoutdoormovies.com and seattlecenter.com/moviesatthemural. 10. Watching boats and fish (welcome to the Northwest): No, it’s not at all like watching paint dry. 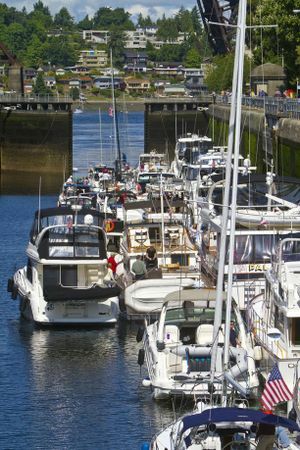 The U.S. Army Corps of Engineers’ Hiram M. Chittenden Locks, with its lush adjacent gardens and popular fish-ladder viewing chamber, is a top attraction for both locals and visitors. On the National Register of Historic Places, the 98-year-old locks (best known as the Ballard Locks) connect the Lake Washington Ship Canal with Puget Sound, raising and lowering transiting boats — from gravel barges to baronial yachts — to compensate for the fact that Lake Washington is some 20 feet higher than Puget Sound. It’s just plain fun to watch. Take a free guided tour May 1-Sept. 30 (1 and 3 p.m. Monday-Friday, 11 a.m., 1 and 3 p.m. Saturday-Sunday). At 2 p.m. on summer Saturdays and Sundays, hear free band concerts, and by late summer see migrating salmon. On Sundays, even parking is free. 3015 N.W. 54th St., Seattle; 206-783-7059 or 1.usa.gov/1kZMHcO. Information in this article, originally published May 8, 2015, was corrected May 11, 2015. A previous version of this story included a photo caption that misspelled the name of Erik Jacobsen, a volunteer at Seattle’s Center for Wooden Boats.